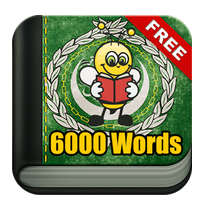 Learn Arabic 6,000 Words is a name that many Arabic language learners are deeply familiar with. Fun Easy Learn, the developers of the language learning app, recently redesigned their app. Learn Arabic 6,000 Words, an Arabic language learning app that has already got rave reviews on Android app store, recently underwent major changes. The developers at Fun Easy Learn, the app development firm that has the interactive e-learning app to its credit, claimed that the app was completely redesigned to fit the needs of the existing users. They said that they were receiving mixed reviews on the app from users, with a significant number of reviewers did actually suggest changes in design of the app. Fun Easy Learn developers told the press that the main aim is to make the app minimalist in appearance. In addition to that, the developers also claimed that the Learn Arabic 6,000 Words app is now compatible with Android 5, the latest version of android operating system. They also maintained, however, that people using phones that have Android 2.3.3 or above can easily install the redesigned Arabic language learning app on their phones. When asked about what’s new in the new design, the owners and developers at Fun Easy Learn claimed that the material design is completely new. Besides, the images of the database have also been redesigned. The developers claimed that the app in its new avatar will appeal more number of serious learners than it has ever done. “We are quite confident that the app will do well in the android market. The design elements have been changed for the better. Besides, we have also added 10 more native languages and we are sure that we can connect with people from a broader region who are willing to learn Arabic seriously. We must state that the app is for beginners and people taking interest in Arabic literature or complex rules of grammar should take a complete course from any recognized institution or university. However, for getting familiar with Arabic words and their meanings in different languages, our Learn Arabic 6,000 Words has no better alternative”, said the CEO of Fun Easy Learn. Fun Easy Learn is an e-learning app development firm having a string of language learning apps to its credit.